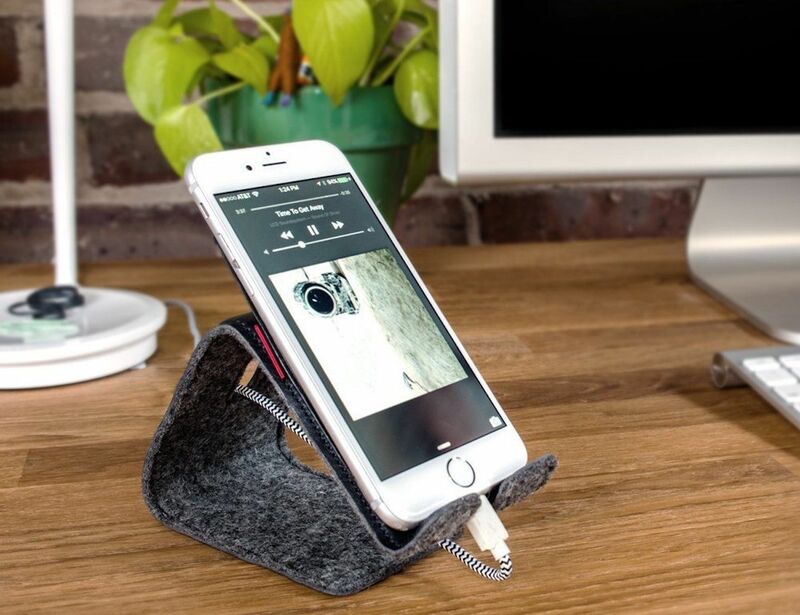 Give your smartphone a nice place to rest with the Stanley Flexible Leather Phone Stand by Distil Union. 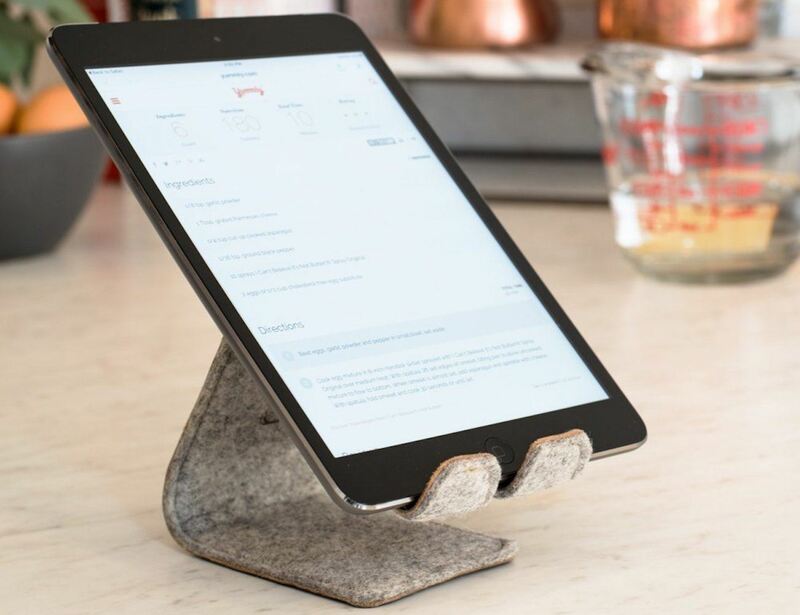 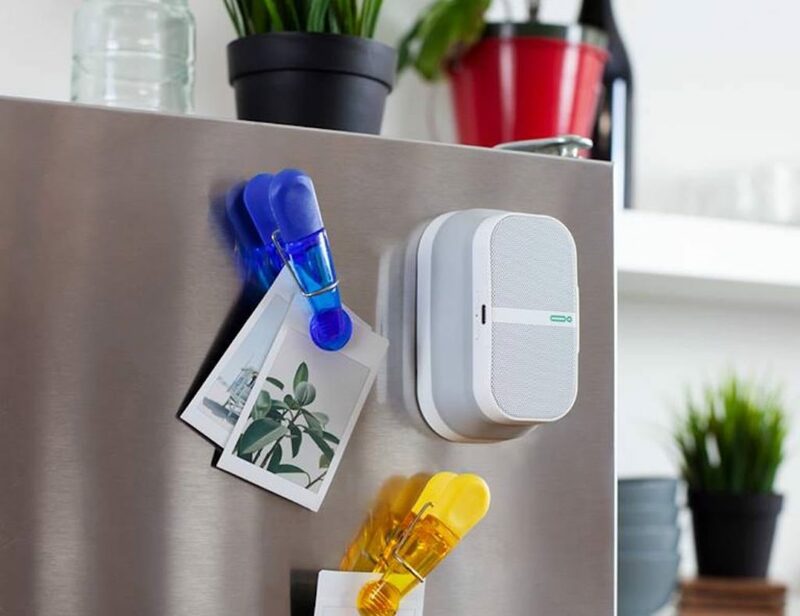 In a unique S-shape, this stand provides a sturdy cradle to hold your smartphone at the perfect angle for viewing videos, photos, or even your notifications while you work. 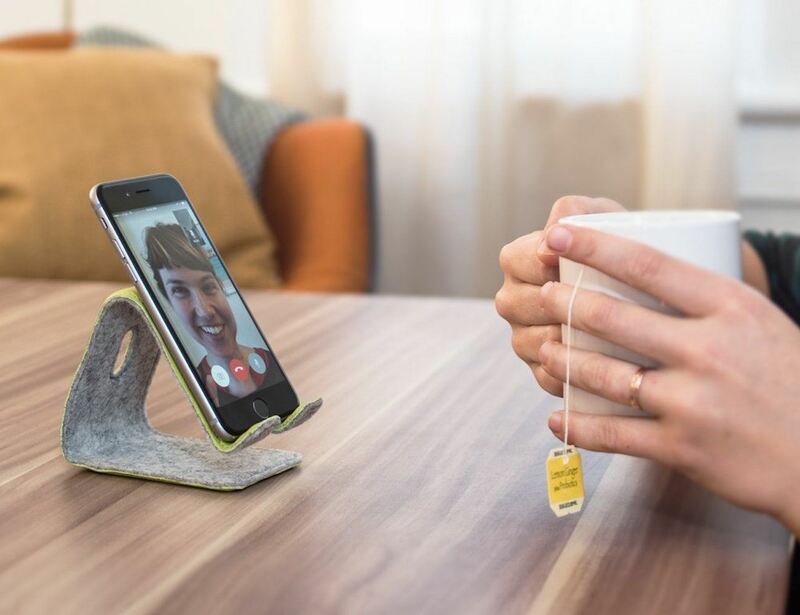 Available in six different colors, the Stanley Flexible Phone Stand is bendable so it can adjust to the exact position you need. 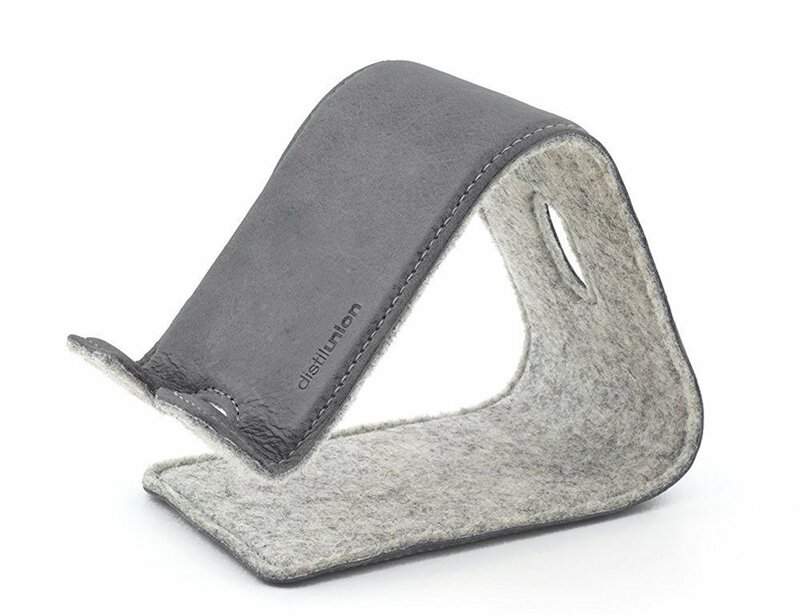 The sleek leather exterior is complemented by the wool felt interior and the combination creates a piece that is visually stunning. 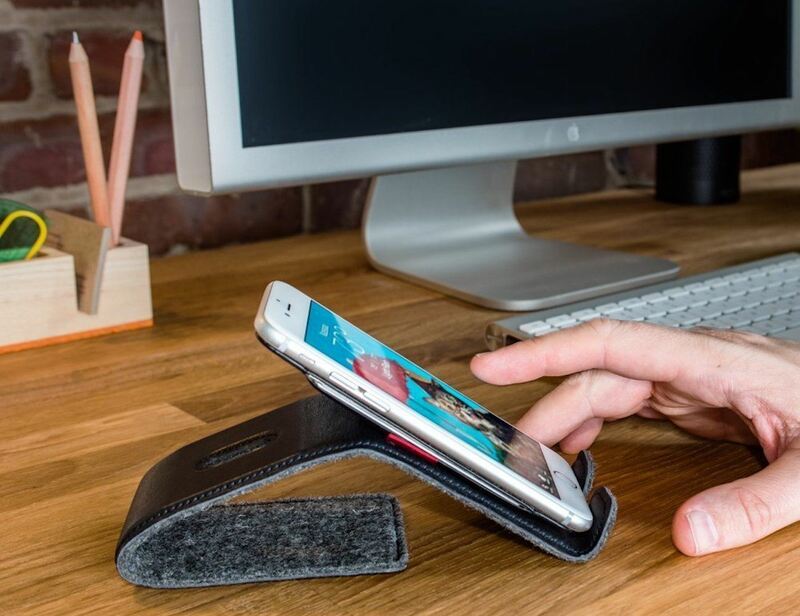 The back of the Stanley Flexible Phone Stand features a cable pass-through slot to hold your cable exactly where you need it – within reach. 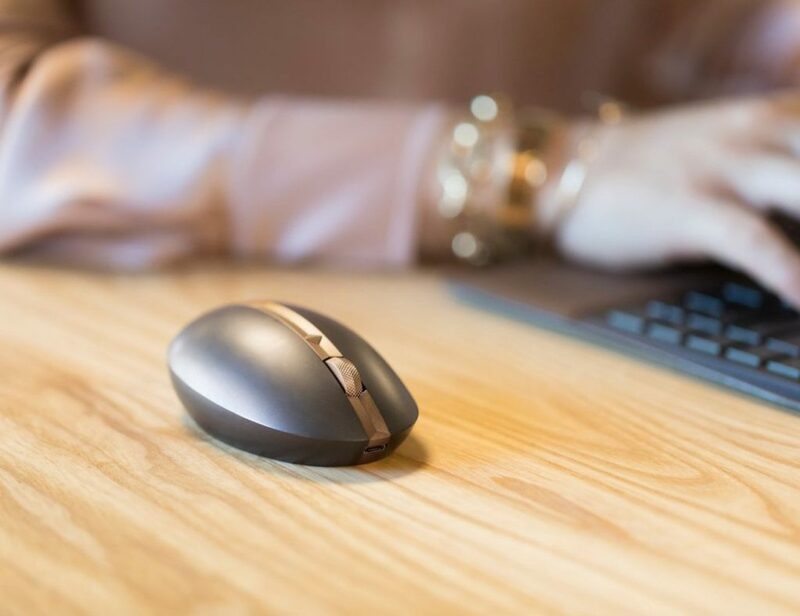 Even when unplugged, the stand will catch the cable to prevent it from sliding off your desk or table. 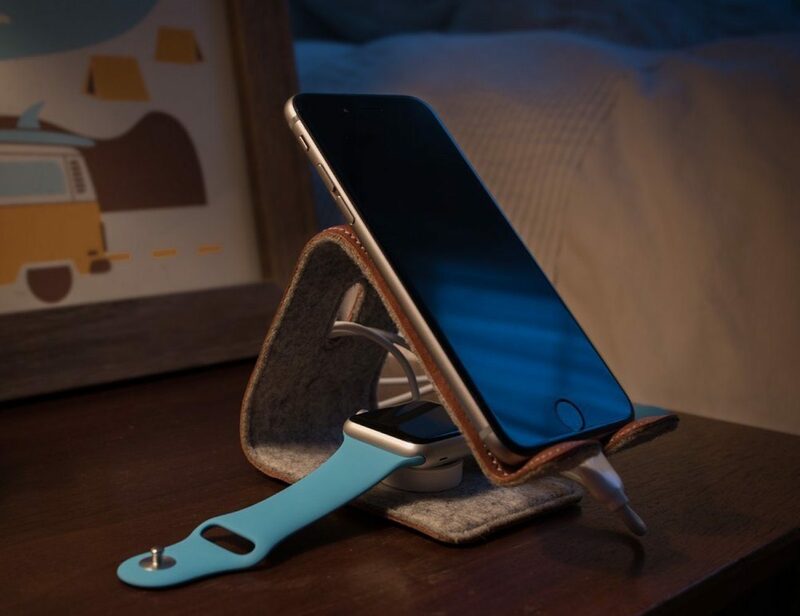 The Stanley Flexible Phone Stand is ideal for your desk, nightstand, or for bringing with you anywhere.